The Pond Bat, Myotis dasycneme is threatened species in Europe During the 20th century, the population of M.dasycneme has declined considerably across the EU, especially in the boreal part of its distribution range. One of the main reasons for this drastic decline has been the reduction of safe winter roosts - underground habitats have either been destroyed or the disturbance level has risen due to high visitor flows. Due to the small size and long hibernation, the awakening during the hibernation, followed by the loss of energy, often proves fatal for bats. The most significant wintering sites of the Pond Bat for the whole boreal region are located in Estonia, therefore the conservation activities in Estonia play a crucial role for the whole EU population of Pond Bat. The previous attempts at managing the visitor flows or prohibiting the entrance to the underground sites were unsuccessful as the placed grilles either had proved to be inappropriate for bats, had been destroyed or removed. It proves the need for awareness raising and community involving conservation activities. Therefore the existing experience and knowledge of the EUROBATS and Estonian bat conservationists must be combined with the community involvement approach. According to EUROBATS directions, the most frequently required conservation measure for the management of underground habitats is the physical protection of caves and mines against excessive disturbance. This is generally achieved by fitting a grille across the entrance which permits the free passage of bats but not people, though other measures such as security fencing may be needed in some cases. If a grille or fence is to be fitted, it is important to monitor bat numbers before and after fitting to check for any beneficial or adverse effects. There are several proofs that the number of hibernating bats was found to increase after human access had been restricted by installing grilles or sealing entrances (see ref 2&3 below). 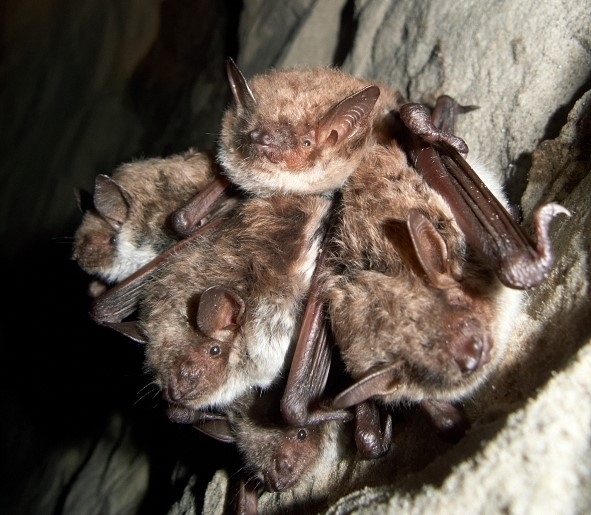 As there have been no previous large-scale bat protection projects in the boreal biogeographic region the important aspect is also on working and testing the EUROBATS suggested methods. The project EstBatLIFE is implemented with the contribution of the LIFE financial instrument of the European Union. The LIFE programme is the EU’s funding instrument for the environment and climate action. The general objective of LIFE is to contribute to the implementation, updating and development of EU environmental and climate policy and legislation by co-financing projects with European added value. LIFE Nature and Biodiversity provides targeted funding for species conservation actions, supporting projects aimed at conserving threatened species listed in the annexes of the EU Habitats Directive, Birds Directive and the IUCN European Red List.